Groundhog Day delights children. 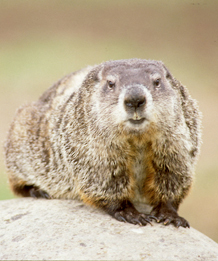 If a groundhog pops out of his burrow and sees his shadow, then winter will last another six weeks. Idea: Gather statistics as to whether or not the event really predicts the arrival of spring. Children can visit the Punxsutawney Phil website for some great games, activities, and even a cookie recipe at: Groundhog Day. Children could also read Groundhog Day! by Gail Gibbons. 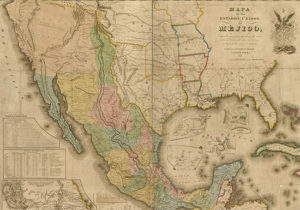 Treaty of Guadalupe Hidalgo was signed in 1848, ending the war between Mexico and the United States. In return for fifteen million dollars from the United States, Mexico gave up the land that became California, Nevada, Utah, and parts of Arizona, Wyoming, Colorado, Kansas, Oklahoma, and New Mexico. Texas also became part of the United States. Children can learn more at: Treaty of Guadalupe Hidalgo. Pura Belpré (born Cidra, Puerto Rico, 1899; died New York, New York, July 1, 1982) was a librarian and writer. She preserved and shared works by Latino writers. One of her most famous works was Juan Bobo and the Queen’s Necklace: A Puerto Rican Folk Tale. The American Library Association and REFORMA established the Pura Belpre Award in her honor. The award recognizes Latino writers and illustrations. Children can learn more by reading the Children’s Book Award Handbook by Diana F. Marks. Rebecca Caudill (born Cumberland, Kentucky, 1899; died Urbana, Illinois, October 2, 1985) wrote more than 20 books for children. Her book Tree of Freedom was a 1950 Newbery Honor Book. 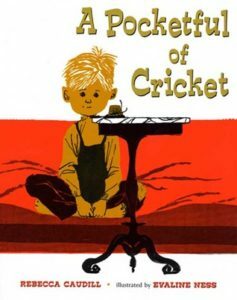 She also wrote A Pocketful of Cricket. The illustrator, Evaline Ness, received a 1965 Caldecott Honor Award for her illustrations. The state of Illinois, where she lived for many years, created the Rebecca Caudill Young Reader’s Book Award in her honor. Every year the school children of Illinois vote for their favorite new book. Children could learn more about her at: Rebecca Caudill. Jascha Heifitz (born Vilna, Lithuania, 1901; died Los Angeles, California, December 10, 1987) was a violin virtuoso. He started to play at age three and was performing at age six. At age thirteen he played in Berlin and found international fame. During the Russian Revolution he escaped to the United States, where he became a citizen in 1925. He recorded many great pieces and arrangements. 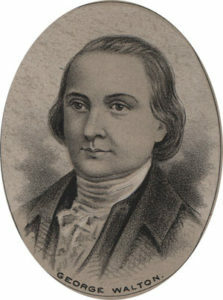 Because of his technical skills, he was often the first person to play new pieces by present-day composers. James Joyce (born Dublin, Ireland, 1882; died Zurich, Switzerland, January 13, 1941) was a writer. One of his most famous works is A Portrait of the Artist as a Young Man. Older children can read some of his works at: Project Gutenberg. Judith Viorst (born Newark, New Jersey, 1931) writes for both children and adults. She is also known for her poetry. One of her books is Alexander and the Terrible, Horrible, No Good, Very Bad Day.